Come November 30th, property managers may not have access to the same flood insurance options. Congress must reevaluate the National Flood Insurance Program on this date, and its authorization isn't guaranteed. Learn what this means for you. Flood insurance is a must for any property but is often taken for granted as a “given”. In reality, it is not a guarantee. Our National Flood Insurance Program (NFIP) must be periodically renewed by Congress; otherwise, it may disappear or possibly morph into a different form of insurance (still to be determined). With the government becoming so unpredictable as of late and the midterm elections coming up, the November 30, 2018 deadline looms, but the plan’s renewal is not guaranteed. As a property manager, you should be aware of this upcoming possibility and should take appropriate action to protect your site. Floods are the most common and most destructive natural disaster in the United States. Ninety percent of all natural disasters involve some form of flooding, and it’s evident in all 50 states, according to Floodsmart.gov (the official website of NFIP). Most standard property owners' policies do not cover damage caused by floods. Additional insurance must be purchased -- commonly called flood insurance -- and is usually backed by the National Flood Insurance Program (NFIP). As a property manager, this applies directly to you. 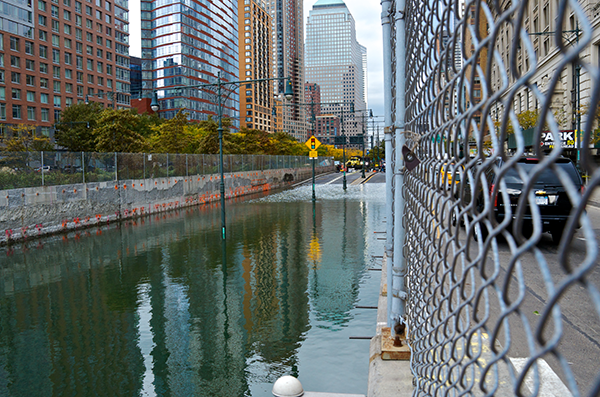 Flood insurance is crucial to protecting your site. If you currently do not have flood insurance for one of your properties or need to renew your policy, we recommend that you do so as soon as possible. Here’s why. The NFIP was created after the passage of the National Flood Insurance Act of 1968. Congress passed this legislation as a result of the lack of the availability of private insurance. It was also a response to continued increases in federal disaster assistance due to floods. During this era (the 1960s), when the Mississippi River frequently flooded, floods were considered too high-risk -- uninsurable; private insurance almost never offered any protection. To develop maps of hazard zones. Periodically, Congress must renew the NFIP’s statutory authority to operate. The President signed legislation on July 31, 2018 to extend the program’s authorization to November 30, 2018. The reason for the periodic reauthorization is for Congress to re-examine the program and attempt to reduce its complexity. It’s also a chance to strengthen the program’s financial framework so that it can continue to help individual property owners and communities secure flood insurance. Historically, Congress has always honored the NFIP, particularly the contracts that are already in place with NFIP policyholders. However, this is never a guarantee. If the reauthorization fails or lapses, FEMA (the Federal Emergency Management Agency) would still have the authority to ensure the payment of valid claims with available funds. However, FEMA would have to stop selling and renewing flood policies for millions of properties across the country. The 2017 hurricane season, which included Hurricane Harvey in Texas and Hurricane Maria in Puerto Rico, was particularly devastating. The damage total of the entire season was at least $282.16 billion and was the costliest tropical cyclone season on record. It was also the deadliest hurricane season on record, with over 3,000 estimated deaths. Read more about the program here, and we’ll keep you posted on the reauthorization. Read more about how you can protect your property and tenants specifically during a flash flood. Learn what essential precautions to take to prepare for hurricane season. Whatever the outcome of the NFIP renewal in November, be sure to equip your property with a two-way voice communication system. 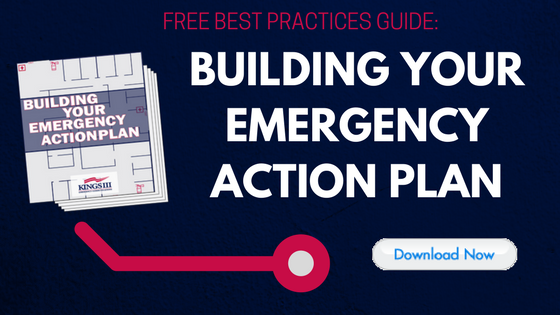 This may act as a lifesaver during a flood emergency (as well as many other emergencies). Be sure to instruct tenants as to where these emergency phone systems are located on your property, and that they are aware of the benefits associated with using one. A light indicating that an emergency communication staff knows about the emergency and is on the case. Your two-way communication system does not necessarily require a dedicated phone line for each phone. For instance, Kings III’s smart line seizure technology allows phones to seize an existing phone line rather than requiring a dedicated line, making these life safety devices cost effective. As flood insurance is crucial to protecting property, we’ll keep you posted on this story. To learn more about how Kings III can increase the safety and reduce risk and liability on your property, visit www.kingsiii.com.